Serotonin syndrome tends to be underrecognized by physicians, as its presentation can be subtle. “In my experience, the majority of prescribers have absolutely no idea that [SS] even exists, let alone what causes it and what to do about it,” according to Irene Campbell-Taylor, MB ChB, PhD, a clinical neuroscientist based in Nova Scotia, Canada, with a private practice focusing primarily on geriatrics. “It is alarming because SSRIs are among the most frequently prescribed antidepressants, and patients are not usually warned about other serotonergic agents that can interact with SSRIs and induce serotonin syndrome, a condition that can be lethal,” she told Psychiatry Advisor. Serotonin: Too Much of a Good Thing? Drugs that can cause SS do so by inhibiting serotonin reuptake, increasing serotonin synthesis, decreasing serotonin metabolism, increasing serotonin release, or activating serotonergic receptors.9 The inhibition of cytochrome P450 enzymes by SSRIs can result in the accumulation of certain serotonergic drugs that are usually metabolized by these enzymes, leading to an “exacerbation loop in which the SSRI inhibits the metabolism of a certain drug, which in turn increases serotonergic activity.”9 Drugs that increase serotonin concentrations and their mechanisms of action are listed in Table 1. Additional drugs with serotonergic effects that can potentiate other serotonergic agents and cause SS are listed in Table 2. “Serotonin syndrome tends to be underrecognized by physicians because you have to be careful and on the lookout, since its presentation can be subtle,” Peter R. Chai, MD, MMS, from the Division of Medical Toxicology, Department of Emergency Medicine, Brigham and Women’s Hospital, Boston, Massachusetts, told Psychiatry Advisor. “It is important to note that serotonin syndrome can progress from mild to florid and serious very quickly, especially in the setting of the combination of an SSRI or [serotonin-norepinephrine reuptake inhibitor (SNRI)] and a drug of abuse, such as cocaine,” warned Dr Chai, who is also an assistant professor at Harvard Medical School in Boston. Dr Campbell-Taylor recounted the case of a patient who was being treated with an SSRI and took over-the-counter melatonin for insomnia. “He woke up during the night with headache, dizziness, and his ‘face on fire,’ which is typically a sign of elevated blood pressure,” she reported. “The fact that it wasn’t lethal is likely because he took a relatively small dose of melatonin and his symptoms abated without requiring hospitalization,” she added. Dr Chai emphasized that it is important as well to find out whether the patient recently stopped taking a serotonergic agent and began taking another one, as many of these drugs have long half-lives and may still be in the system when a new drug is initiated. Classical symptoms of SS are listed in Table 3. The Hunter Serotonin Toxicity Criteria for diagnosing serotonin syndrome has become the standard algorithm to diagnose SS and is listed in Table 4. Differential diagnoses of SS are included in Table 5. 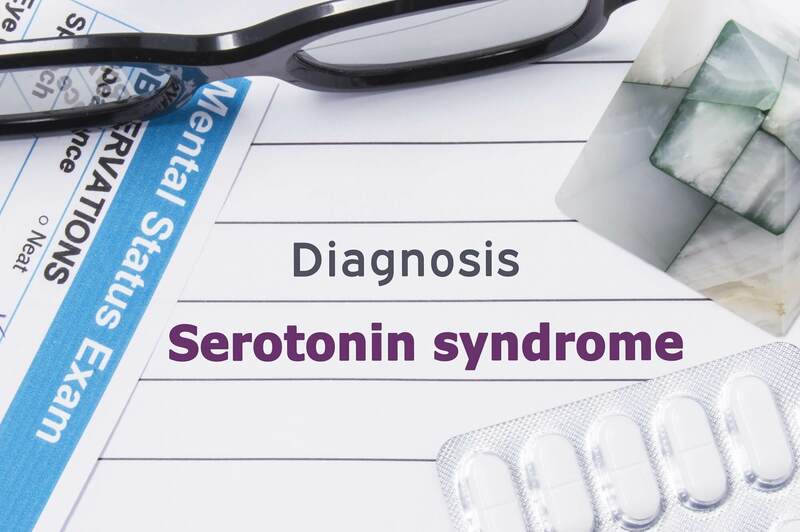 “Clinicians should be aware that serotonin syndrome is treatable once you recognize the hallmark features, and that the prognosis is generally favorable,” Dr Chai said. First-line management involves discontinuation of the offending serotonergic agents and provision of supportive care, with the intensity of treatment depending on the severity of the syndrome.11 Mild cases typically resolve in 24 to 72 hours with conservative therapy, and patients do not necessarily require hospital admission.11 In contrast, patients with moderate to severe cases involving hypertonicity, hyperthermia, autonomic instability, or progressive cognitive changes require hospitalization.11 Management of mild, moderate, and severe cases are listed in Table 6. Dr Campbell-Taylor and Dr Chai both emphasized the critical role that psychiatrists can plan in preventing SS. Be vigilant about what you are prescribing. “Do not combine 2 serotonergic agents, such as an SSRI and SNRI, in treatment, and be vigilant during initiation of the medication or when increasing the dose, especially in patients naive to these drugs,” Dr Chai warned. A computerized ordering system and medical software can ascertain whether there are potential interactions when multidrug regimens are required.11 Physicians who do not have access to this system should verify potential interactions with a pharmacist. Make sure you know what other agents your patient may be taking. It is critical to inquire about every item that your patient uses, including all prescription mediations, over-the-counter remedies, dietary supplements, and drugs of abuse, Dr Campbell-Taylor emphasized. 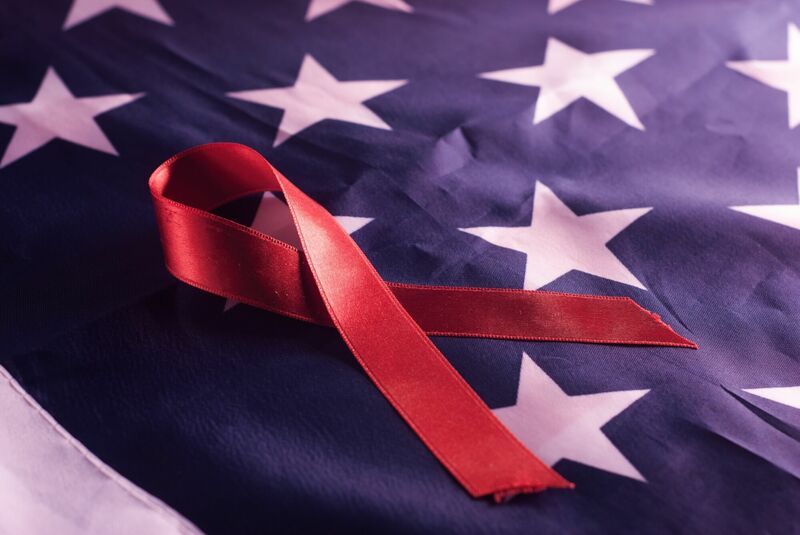 “This requires thorough inquiring because many people don’t think to mention items taken for nonpsychiatric causes, such as cold remedies, antibiotics, or herbal supplements that the patient may regard as ‘natural’ and therefore perfectly safe,” she said. “Many drugs include instructions or warnings, such as not to take them in combination with alcohol or not to drive or use heavy equipment while being treated, but SSRIs do not carry those warnings, although there are warnings about suicidality,” Dr Campbell-Taylor pointed out. It therefore is incumbent on prescribers to inform patients about the risk for serotonin syndrome. Part of education is educating patients and families about the risk for overdose and its associated symptoms, Dr Chai added. Evidence-based psychotherapies, such as cognitive behavioral therapy, are increasingly being regarded as potential first-line approaches to patients with mood disorders, and their use should be increased, together with other nonpharmacologic interventions, she advised. 1. Centers for Medicare and Medicaid Services (CMS). Antidepressant medications: use in adults. Accessed: February 12, 2019. 2. Centers for Disease Control and Prevention (CDC). Antidepressant use among persons aged 12 and over: United States, 2011–2014. Accessed: February 15, 2019. 3. Yuet WC, Derasari D, Sivoravong J, Mason D, Jann M. Selective serotonin reuptake inhibitor use and risk of gastrointestinal and intracranial bleeding. J Am Osteopath Assoc. 2019 Feb 1;119(2):102-111. 4. Vijay A, Becker JE, Ross JS. Patterns and predictors of off-label prescription of psychiatric drugs. PLoS One. 2018;13(7):e0198363. 5. Medco Health Solutions. America’s state of mind. Accessed: February 12, 2019. 6. Gummin DD, Mowry JB, Spyker DA, Brooks DE, Fraser MO, Banner W. 2016 annual report of the American Association of Poison Control Centers’ National Poison Data System (NPDS): 34th annual report. Clin Toxicol (Phila). 2017;55(10):1072-1252. 7. Prakash S, Patel V, Kakked S, Patel I, Yadav R. Mild serotonin syndrome: A report of 12 cases. Ann Indian Acad Neurol. 2015;18(2):226-30. 8. Brown CH. Drug-induced serotonin syndrome. US Pharm. November 17, 2010. Accessed: February 15, 2019. 9. Volpi-Abadie J, Kaye AM, Kaye AD. Serotonin syndrome. Ochsner J. 2013 Winter;13(4):533-40. 10. Bartlett D. Drug-induced serotonin syndrome. Crit Care Nurse. 2017 Feb;37(1):49-54. 11. Ables AZ, Nagubilli R. Prevention, recognition, and management of serotonin syndrome. Am Fam Physician. 2010 May 1;81(9):1139-42. 12. Patel et al. Dietary supplement-drug interaction-induced serotonin syndrome progressing to acute compartment syndrome. Am J Case Rep. 2017;18:926-930. Published 2017 Aug 25. doi:10.12659/AJCR.904375. 13. Warner ME, Naranjo J, Pollard EM, Weingarten TN, Warner MA, Sprung J. Serotonergic medications, herbal supplements, and perioperative serotonin syndrome. Can J Anaesth. 2017 Sep;64(9):940-946. 14. Sharma A, Gerbarg P, Bottiglieri T, et al. S-adenosylmethionine (same) for neuropsychiatric disorders: a clinician-oriented review of research. J Clin Psychiatry. 2017;78(6):e656-e667. 15. Erland LA, Saxena PK. Melatonin natural health products and supplements: presence of serotonin and significant variability of melatonin content. J Clin Sleep Med. 2017;13(2):275-281. 16. Dunkley EJ, Isbister GK, Sibbritt D, Dawson AH, Whyte IM. The Hunter Serotonin Toxicity Criteria: simple and accurate diagnostic decision rules for serotonin toxicity. QJM. 2003 Sep;96(9):635-42.